Big news of the week in the world of marketing and SEO is that Google finally made the move to switch all searches to encrypted searches. And this, it changes everything about the way SEO professionals, and marketers, will have to work moving forward. In a nutshell, this means that websites will no longer be able to track users by the keywords they use to power their searches. Which is a big deal. And given the huge concerns about online privacy, not surprising at all. For Google, allowing personally identifiable information to be combined with search queries is a huge liability and it’s also a competitive issue. In the simplest terms, as a marketer, it’s important for us to know what keyword terms drive traffic to our clients’ websites. That information drives our website content strategy, our lead generation strategy, our blog content strategy, even our social media content strategy. For instance, if I’ve got a client that sells little girls’ accessories, and I know there’s a lot of search traffic for the phrase “girls red tutu” (instead of, say the phrase “red tutus for girls”) I’m going to make sure my product descriptions on the website use that phrase, my blog content uses that phrase and my social media content utilizes that phrase. That’s like using honey to draw the bees. You do the homework to find out what it is they are searching for, then make sure your marketing messages and content speak in the language customers and prospects use when they are searching. Another example: say your company makes a software product that’s a project management tool for B2B companies. And you know that certain keyword terms drive a lot of traffic to your website, and that traffic tends to convert at a fairly high rate. Obviously, you’ve likely been using those keyword terms in your landing page campaigns, your blog content and elsewhere in order to keep driving that traffic and those leads. This change by Google will impact your ability to easily access this keyword information and your SEO tactics will need to adapt. While this makes it harder for marketers (and for small business owners) to understand the basics of what drives traffic to their sites and to leverage keyword data to help drive strategy, it’s actually not all bad. The reality is that the concept of “owning page one of Google” for a particular keyword is fairly old-school SEO thinking and the practice of only the laziest practitioners in the SEO industry. Best in class SEO practices focus on smart content marketing. That means producing relevant content, content that serves your audience and your prospects and leveraging that content through SEO and through social media channels and driving traffic in a meaningful way. This change forces SEO pros and marketers to focus on page quality and content rather than keyword campaigns. Which seems, to me anyway, is as it should be. You’ll still be able to create very effective SEO campaigns if you’re measuring the impact of your pages, their traffic and understand which keywords and phrases are used in that content rather than relying on keywords alone. The change seems to be a lot about privacy and about personally identifiable data—and removing that from the mix. There’s been huge negative publicity about the NSA spying allegations and this could well be Google’s move to thwart any more negative publicity. And, of course, there’s much speculation that this move is all about increasing ad revenues. If you’re doing paid search, you’ll still have access to search data for your AdWords campaigns, so there’ll be an even bigger reason to pay Google for advertising. One final note, Google isn’t the only search engine on the planet. It’s just a pretty big one. You’ll still be able to access your search data from Bing and Yahoo and extrapolate that data to help craft your SEO strategy. And it’s probably not a bad idea to be experimenting with some AdWords campaigns as an overall part of your integrated marketing strategy, combined with a comprehensive content strategy. And if you decide to do that, do yourself a favor and work with someone who knows what they’re doing. I’m not a fan of DIY AdWords to begin with, and now, even less so. There’s a reason to hire a pro, but only if you want results. Bottom line, change is inevitable, especially in the world of search engines. What I like about the changes is that we’ll no doubt see the talented SEO folks rise to the challenge and develop tactics and strategies that help businesses leverage the web in order to thrive and grow. Tactics and strategies that are as good for users as they are for marketers and SEOs. And which keep users’ privacy top of mind. And the crummy, bottom-dwelling SEO people—hopefully they’ll find a new career. In the 90s, the concept of digital and Internet marketing seemed like an adolescent idea that would soon fade away. Traditional marketers were extremely skeptical about it, and business investors and marketing consultants throughout the world proclaimed that it was merely a Silicon Valley idea that would go bust from boom. In India, things looked even more pessimistic. A country of 1 billion people who had grown used to ads on painted movie posters, cable television and newspaper print supplements about their favorite products – India seemed like a country that would be least convinced to go for things like Internet ads, social marketing and digital innovation. Adding to the cynicism was the fact that in the 90s, most Indians didn’t have an easy access to the net, and there weren’t as many cyber cafes as there are today. Today, things have markedly changed. 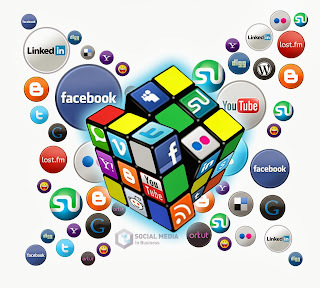 India has rapidly become one of the biggest social marketing audiences in the world. From MySpace to StumbleUpon and from Technorati to SlideShare – Indians are everywhere – and notice that I didn’t mention Facebook or Twitter. Indian marketing professionals today have thousands of digital ways to interact with their audience. An audience that consists of digitally proficient students who’re accessing their profiles in buses, working professionals who check their mails on-the-way to office, and even housewives who know how to access their online profiles. The demographic advantages of Indian digital marketing cannot be overstated. Here we have a potential market which today has access through phones, cyber cafes and personal computers to literally millions of email/mobile campaigns. The one major aspect of Indian digital marketing that should shine in the future is virality. Future digital marketing concepts have the potential to go ‘viral’ as much as Indian blockbusters that have captured the attention of the Indian public. The most striking aspect of future digital marketing in India is definitely its cost-effectiveness and interactivity. Also, there is easy accessibility – a boon considering that traditional Indian marketing had to face the huge hurdle of reaching out to Indian masses in the most resource-effective way. Indian audiences have the additional difficulty of linguistic differences – something that digital marketing can choose to stay away from. The future of digital marketing in India seems bright and beautiful. Social can be one of the most challenging platforms for brands to measure return on investment. Companies that grew up on traditional advertising and metrics often have trouble making sense of the value of the online ecosystem. Most of the consumers using the web as their primary purchase tool, it's an area brands can't afford to ignore. Experts says that "social depth," a fancy phrase for discovering, exploring and engaging with online consumers, eventually leading those conversations back to brands' websites. Here's the social depth formula broken down into five, easy tips. User-generated content, blog posts, videos, tweets and chatter are all over the web. Harnessing the power of brand advocates, addressing customer concerns and fixing problems empowers participation. It's easier to put out a fire than it is to ignore it. 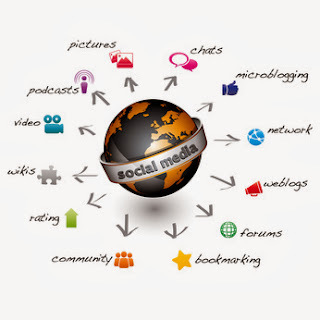 People want to interact and create relationships with brands online. Catering to those fans via product giveaways, social interaction and real replies separate the companies that get it from the ones still in the dark. "The consumer is boss, so we have to match that”, Look for solutions to unlock the consumer voice. You can't fake it online. The same die-hard brand advocates championing your product will be the first to call out shady behavior or content that doesn't reflect brand culture. When in doubt, ask your community for help when it comes to content. Hitting "publish" is social suicide if the material isn't quality. Take advantage of Wordpress, Tumblr and social media to craft strong messages. Know the rules and follow them: Every network requires a specific approach and language (tweets are written differently than Facebook posts). Stick to a calendar for posting, and focus on making followers feel part of the brand's family. Using platforms solely as selling tools quickly alienates customers. Hire professionals—and fight the urge to turn sites into content farms or automate feeds. "Find the interesting content that’s being posted and use it to bring value to your audience." Incorporate social into every aspect of what you do, 88% of businesses using Twitter feeds, comments, ratings and reviews on homepages increases user engagement. Forty-two percent boosted their average time on site. It may sound painfully simple, but adding these tools are the equivalents of a restaurant showing off a top health code letter grade. It empowers consumers to interact and share content. Plus, constant updating improves search engine visibility much more than static pages. Nothing risked is nothing gained, especially when it comes to social. Fail and see what works. Test tone, style and new monetizing tools, such as native advertising, which serves sponsored content, tweets and Facebook stories. When starting to develop the brand, many companies spend a lot of time choosing colors and hiring graphic designers but overlook their written content. No matter where you’re sharing content – on your blog, social media, or other websites – you want to develop a voice that helps you maintain your relationship with current clients and generate new business. But how do you do that? Here’s a step-by-step guide to help you get started. Start by looking to other materials you’ve developed – ­­logos, business cards, company photographs, and even your office or store décor. Write down words you would use to describe them. Are they bright, colorful, and fun? Or are they more straightforward and professional? Do you tend to share humor, or does your brand seem more sentimental and flowery? The tone of your written content should similarly share these qualities. What’s the overall goal of your brand – and thus, your written copy? It can be helpful to develop a one sentence statement which you can choose to share with the public or not. For example, Google’s informal company motto is “Don’t be evil.” When developing this message, you also want to keep in mind who your target audience is. You would write different copy for soccer moms than you would for recent retirees. Once you’ve defined the tone that you want to hit, you should start by writing the content for your website to further hone in on your company’s unique voice. Since this copy is incredibly important, many businesses choose to hire a professional writer for this phase. You can work with him or her to establish a tone that you can use elsewhere, or you can go it alone. Either way, take the time to get it right now, so you can use it as a template for other areas of your web presence. Blogs are all about making a personal connection with your clients, and one of the best ways to do that is to literally put a face to your company. This can be the CEO, an employee with an interesting position, or even multiple employees. It doesn’t necessarily mean that this individual has to write each blog; you can choose to hire a ghostwriter to handle that task if necessary. Either way, you want to stay consistent with the tone you’ve established in the web copy – but since it’s a blog, you can be a more informal and have a little fun with it. Figure out where your target audience is spending the most time, and focus your efforts there. Facebook is one of the most popular sites on the web and reaches a wide audience, but you also want to consider other smaller social networks. For instance, a LinkedIn presence might be important if you are targeting business owners. Again, you want to take into account the tone of your brand. If you have a fun, more playful brand, you may want to take advantage of apps to take polls and create quizzes. For a more serious brand, you could share links to articles relevant in your area of expertise. Running a profitable E-commerce Website is not much easy. Website should be simplified so that customers can maneuver with ease. Even if your site is easy to navigate, nearly every successful website has a search bar. It's a quick and convenient way for customers to find exactly what they need. An easy payment system- Consumers are more likely to purchase your product if the checkout is streamlined and straightforward. If you are selling wall graphics, showcase the photos of the entire room, giving users an idea of what it would look like in their home. Data-sharing has evolved the retail world. Basic information like sizing, color and availability are necessary, but it helps the consumer to know things like how the product was made, how it will be shipped and what others are saying about it.